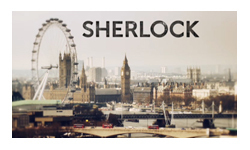 I’d really appreciate it, my dear reader, if you could go and have a quick squint through my review of the first season of Sherlock. Go on, just for me? It’s only a few hundred words. Thanks for that. Now here’s the thing, could you just imagine that you’d read the same review almost letter for letter (only almost, I’ve just spotted a typo) for season 2 as for season 1. All the stuff about it being a wonderful series that brings together perfect casting, beautiful direction, fun (all be it slightly flawed) plots and a central pair of characters that you’ll adore. It’s brilliant. If you haven’t seen it yet, go and get it. Right now. Stop reading and go. Not least because there are spoilers ahoy. If you have seen it and you’re absolutely in love with it, I also advise you to stop reading now. You see, I have a bit of a problem with Sherlock and I don’t actually want to spoil people’s enjoyment of the series. If you’re entirely content that you’ve watched a brilliant piece of television and you don’t want me to put a niggling doubt into your head, something you may not have thought about but may turn into something festering and bitter, then turn away now. Can’t say I didn’t warn you. The seeds of my doubt were planted in the first few minutes of the first episode of the season. I commented on the first season that “ending on a cliffhanger felt a bit presumptuous, it came across as a bit of a tease”. That feeling was only exacerbated when the cliffhanger was resolved within minutes of the new season starting by… the villain getting a phone call and wandering off. Didn’t really feel like the massive event we’d waited nearly 18 months for. But the doubt blossomed into whatever doubt blossoms into with the last few minutes of the season. This ending was even worse because it isn’t even a cliffhanger, we know Sherlock’s not dead, all they’ve not shown us is how he did it. So in a year’s time we’ll come back, they’ll do a two minute flashback to show us what has probably already been worked out on an internet forum and the new episode will start. Why do that to us? The show is incredible, it’s not as if without that lingering mystery we wouldn’t have come back and the small amount of extra press you might get for the stunt doesn’t really seem worth selling your creative souls down the river for. That’s all this is, a stunt, and as a loyal viewer I’m actually pretty insulted by it. Mind you, being a loyal viewer isn’t particularly hard when there’s only three episodes every year and a half. I realise that the trade-off for having these great actors is that they are in demand for a lot of other stuff, making scheduling something of a trauma, but still, this is taking the piss a little I feel. There were too many moments this season when I was very aware of the clock ticking down and us being stuck in a scene that I’d already played out in my head – Molly’s Christmas present, Holmes testing the sugar cubes, the code being the measurements… Get on with it, don’t waste your time explaining stuff that we can work out ourselves. Everything positive I’ve said about the series still stands, it really is extraordinarily good. But unfortunately between the short runtime, the long gap between seasons and the manipulative and frankly just plain rude way the season started and finished, I feel toyed with. Like the smug genius of a production team is playing with us ‘ordinary’ viewers and just like John Watson, I might adore Sherlock, but it also annoys the hell out of me. Funnily enough, I enjoyed both the quirky resolution to the first season cliffhanger and the way this one ended. Given the time gaps between each run of three episodes, I think it’s good to leave viewers with something to keep them puzzling and talking during the painfully long hiatus. The style and confidence with which Moffat resolved the first cliffhanger was brilliant – in a situation of incredible tension, he resolved it with a genuine laugh-out-loud moment with Moriarty’s ringtone, which then also provided the catalyst for the Irene Adler story. And this cliffhanger was equally good. I suspect most viewers will have been aware that Sherlock doesn’t die in The Final Problem, but his ‘death’ provides an interesting character piece around which to hang the story. In truth, once you strip away the big setpiece confrontations between Sherlock and Moriarty, this episode is all about John and his unwavering faith in Sherlock – a faith which Sherlock must somehow disconnect himself from to pull off the illusion of his death. And so we are left to wonder how. It’s all worth it to see Freeman’s subtle performance as he really brings John’s quiet grief to life.